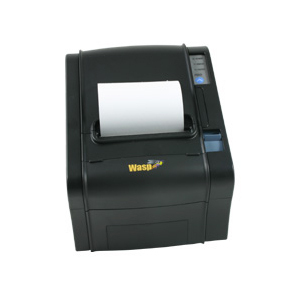 WHC25 Desktop Wristband PrinterThe Wasp WHC25 direct thermal wristband printer is designed to meet the needs for healthcare patient identification, hospitality, and event ticketing applications. 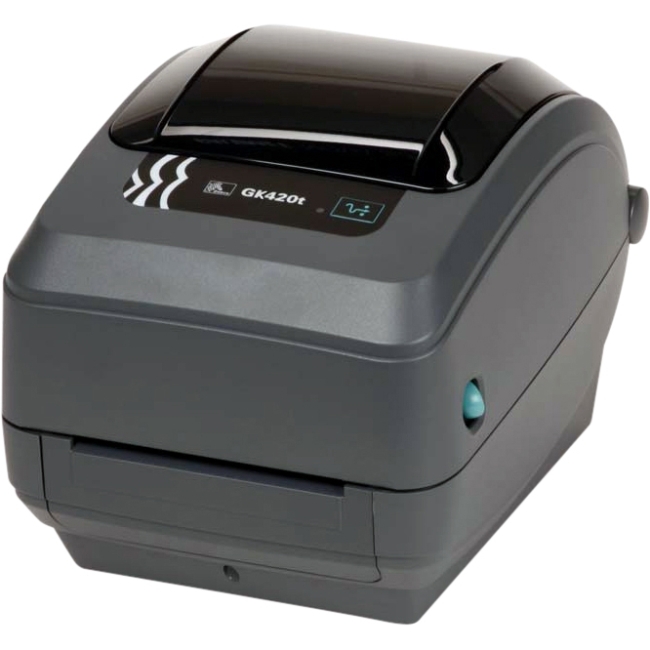 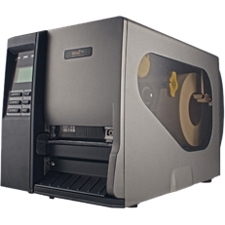 Using direct thermal print technology, the WHC25 eliminates the need to purchase toner and ribbons, making it an easy-to-use, cost effective solution when compared to a laser printer. 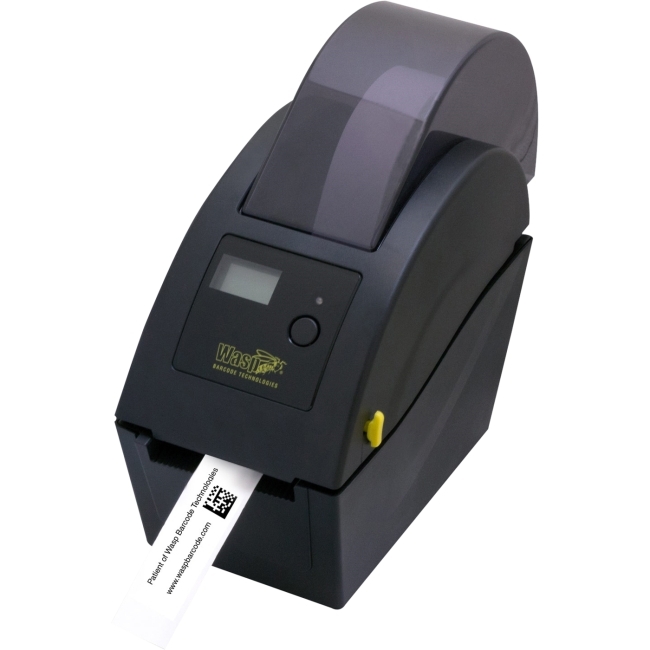 When printing wristbands with text, graphics, and barcodes the thermally embedded ink will not bleed or get ruined should it become damp.Small and compact, the WHC25 prints 203 dpi wristbands at speeds up to 5 inches per second and easily reduces the hassle of frequent media changes by supporting 6.5-inch outside diameter wristband rolls. 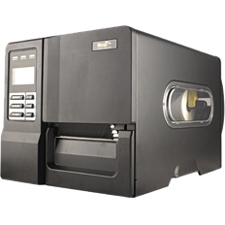 With a 32-bit RISC processer, the WHC25 allows you to maximize workplace efficiency and productivity by using 8 MB SDRAM and 4 MB Flash memory. 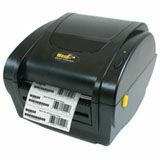 Built for space-constrained environments, the WHC25 includes wall mountable holes on the bottom cover, giving you the option to use it as a wall mounted or desktop wristband printer.The WHC25's LCD display enables you to access the printer's status and gives you the ability to troubleshoot away from your PC. 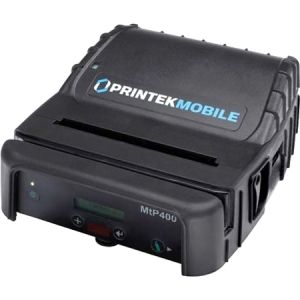 For a versatile printing solution, easily turn the WHC25 into a standalone printer in the event of connectivity issues by simply plugging in a keyboard. 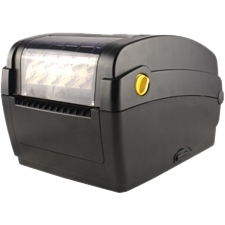 The WHC25 offers USB and internal Ethernet connectivity for easy integration into your existing local or networked environment. 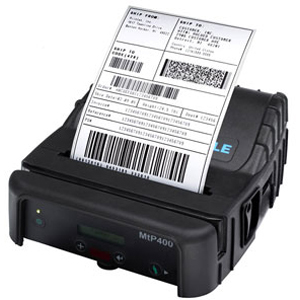 To ensure compatibility with your application, the WHC25 includes WPL, ZPL emulation, and EPL emulation and is FCC Class B, CE Class B, C-Tick Class B, UL, CUL, TUV/Safety, and CCC certified.